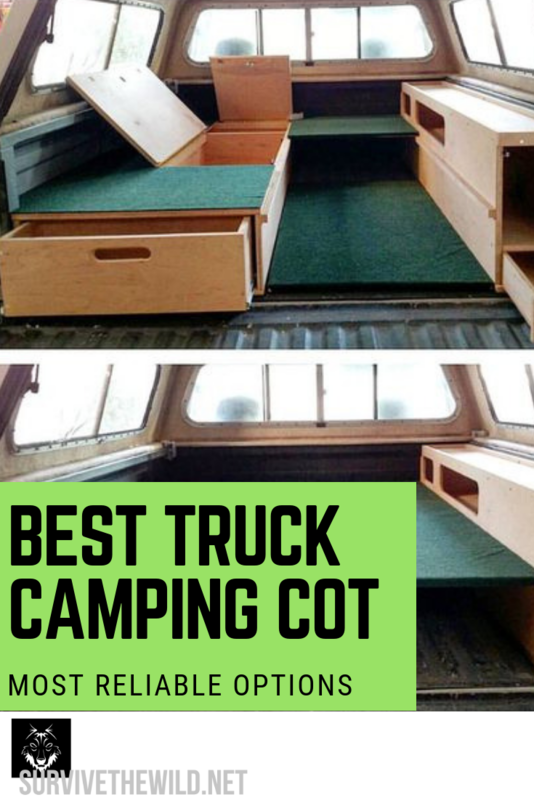 When you're looking for the best cot for truck camping, you're working with a limited amount of options. So what we've done is narrowed down that list even further, until all that's left are the most helpful choices for this unique situation. Let's walk through why we've made these choices, and what makes them the best option for you or your family. We all know that no two camping trips are ever the same when you're taking your truck out. So make sure that you're able to adjust to the environment and duration when necessary. Meaning, if you're planning for a weekend venture, don't build a set up that's going to require a complete rebuild to accommodate a longer trip next time. If you build a shelf with space underneath it (as seen below) for something like a thin mattress to go on top of, make sure it can be taken out to make room for a full sized cot like something good enough and soft enough for taller people. Now that the common sense is out of the way, let's talk about why you actually came here. If the maximization of space is important, i.e. if you're going on a longer trip where you'll need more supplies, or if you're winter camping, you're going to want to bring the best ultralight cot you can find. It's small, light, and will leave room for more box storage above or below you. Or if you're bringing more than one person on the trip, like camping as a couple (God bless you're soul if you found a mate that amazing), you're going to need something bigger. 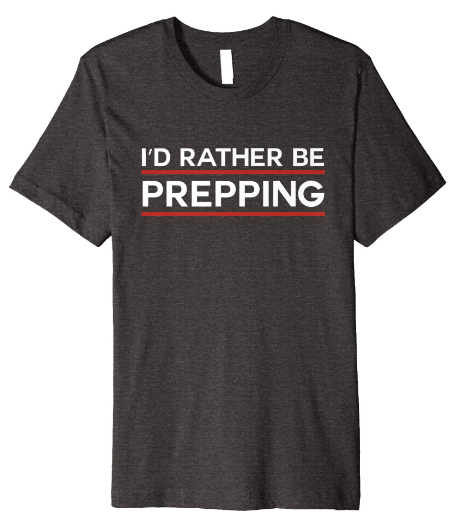 Unless you're both just side sleepers and can sleep in a match box comfortably. Like we talked about before, if you're maximizing your setup for comfort, you get to be a bit selfish. Heck, you could probably throw a Kamp-Rite back there and get the best sleep of your life if comfort is your main objective! Remember that there needs to be some flexibility though. 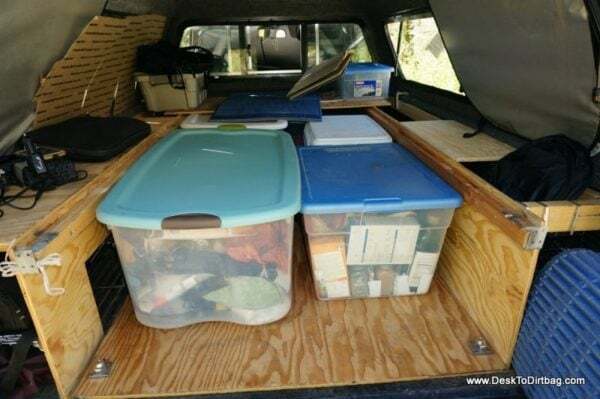 So if you haven't built your setup in the truck bed yet that not every trip is going to be the same, and there will be times when storage is more important than being comfortable. 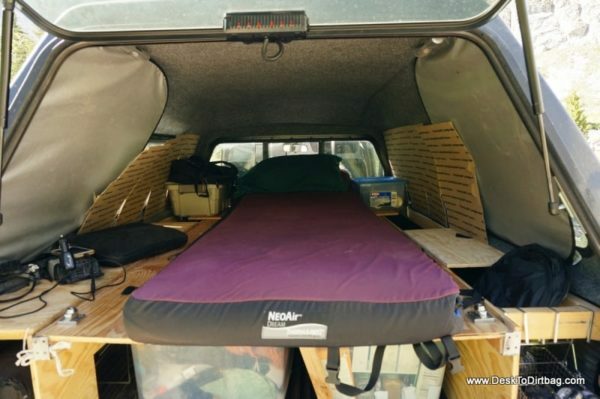 Since space is usually the main issue, let's start off with what most people are going to want, a mattress that can just be laid on top of the board so that as much space can be used for storage as possible. The winner here is the Teton Sports Pad. From pillow pockets to keep your head comfortable, to two inches of padding to add to the comfort of your already amazing Teton cot, this pad goes above and beyond the call of duty. It is however made to specifically fit Teton cots though. That's not really going to be a problem in this situation though, unless you're using a setup where you have the whole cot in the bed.